Aluminium Doors Prices | How Much Do Aluminium Doors Cost? How much do aluminium doors cost? Are you struggling to find aluminium doors prices? This easy to use price guide will put an end to any confusions and turn that question mark hanging over your head into a heavier wallet filled with savings. Our aluminium doors prices can range from nearly £1,500 to nearly £4,600, but what dictates the price? There are many factors that can contribute to the final price you will receive, including door style, colour, size and any hardware options you may choose. With so many choices, design options and customisable features, aluminium doors have been difficult to price accurately. However, it is still possible to calculate how much you will be spending, and our figures are showing us you’re sure to be satisfied. To ensure our aluminium doors prices offer you the very best for your money, we only provide you with market-leading designs. This means that they bring a high performance balance between appearance and aesthetic, proving themselves to be a fantastic addition to any type of home. Their sleek, contemporary look exudes high quality, often giving homeowners the illusion that they carry a heavy price tag. However, by calculating a price based on size parameters we can see that this isn’t the case. This guide will allow you to see how much you are likely to invest in your new home improvements, giving you aluminium doors prices you can use. With Sternfenster, there is no reason to settle for inferior products at undesirable prices. Aluminium Doors Prices: What Am I Paying For? Aluminium doors stand at the forefront of double glazing design, meaning they offer unrivalled standards of performance and design. Our aluminium doors prices allow you to enhance your home with doors that simply offer more. It’s never been easier to enjoy a warmer and more comfortable home with our aluminium doors, meaning you’ll also be paying for comfort throughout the year. This stands true even in the face of any adverse British weather. 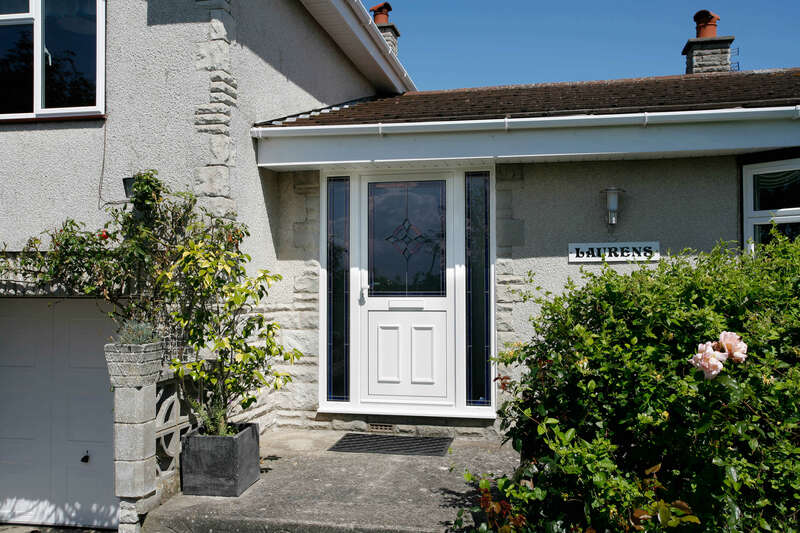 Our doors also uphold impressive levels of security, combining a high security profile with intelligently designed, multi-point locking mechanisms. 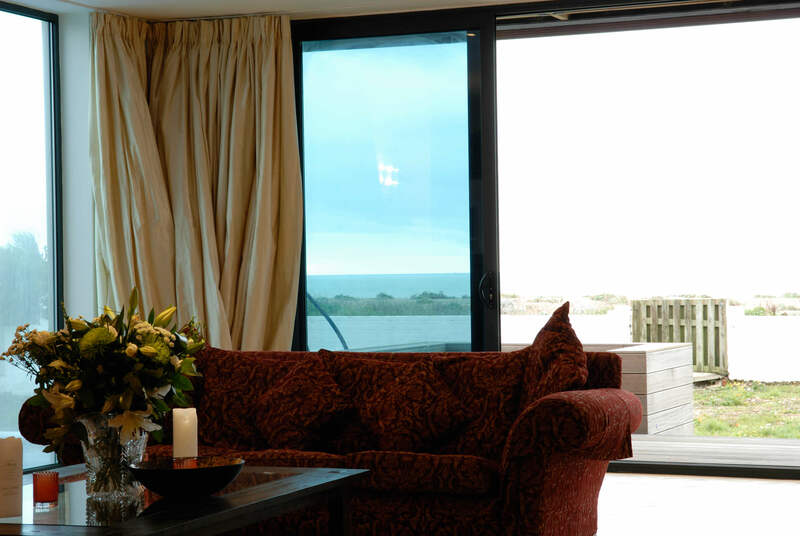 Our aluminium doors prices allow you to enjoy peace of mind the cost-effective way. 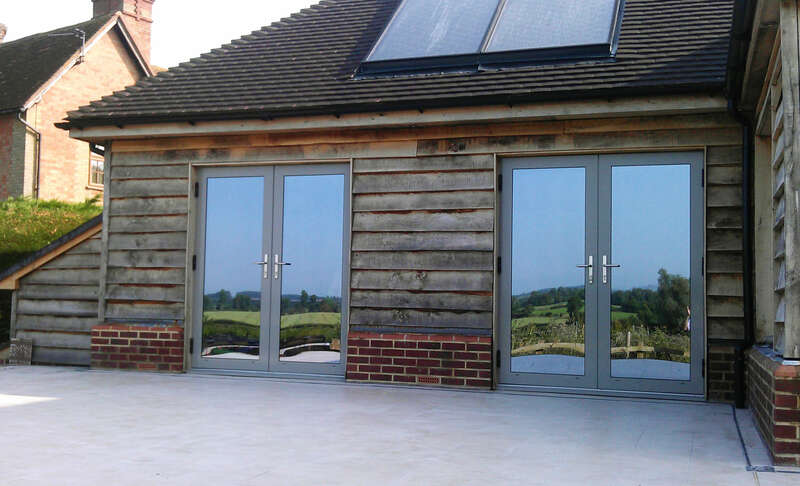 Due to an innovative polyamide bridge, our aluminium bi-fold doors achieve impressive standards of thermal efficiency. This is made possible by an energy efficient profile that traps warm air into your home. This not only allows you to enjoy a warmer property, it also allows you to benefit from lower heating costs. By keeping warm air within your property, you’ll need to use your central heating less frequently. This means that our aluminium door prices will continue to bring you value even after your initial purchase. We offer a product that is sure to guarantee satisfaction throughout the years. Aluminium Doors: Are They Right for My Home? Our aluminium doors can be easily tailored to suit all types of property, including modern, traditional, heritage and period. You’ll able to benefit from their cutting-edge properties no matter the style of your home. We offer a wide range of colours and finishes which allow you to tailor your aluminium door to perfectly the aesthetic you are after. Whether you’re looking to bring a modern flair or traditional charm, we can easily accommodate for your tastes. All of our colours and woodgrain foils feature a highly durable finish that guarantees they maintain their fullness over the years, ensuring you enjoy an aesthetic that lasts over the years. This stands true even in the face of adverse weather. Our choice of hardware options also allows you to bring a subtle edge to your new doors, meaning you’ll be able to enjoy more with our highly competitive aluminium bi-fold doors prices. 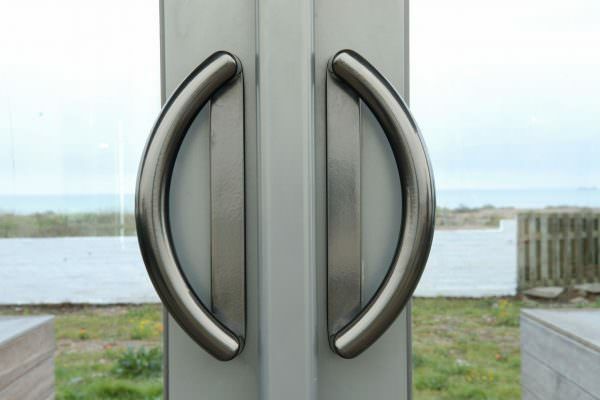 All hardware designs maintain our high standards, ensuring quality remains consistent. To allow you to find your perfect aluminium doors prices in a swift and easy way, we are proud to offer a wide range of high quality designs. Our aluminium doors prices will show you that product quality need not be overshadowed with a looming price tag. Aluminium residential doors offer homeowners the opportunity to outfit their home with a door that excels in design and appearance. By utilising the Alitherm Plus profile, our aluminium residential doors achieve outstanding degrees of thermal performance, security and durability. The table below shows a range of aluminium residential doors prices based on certain size parameters. These prices are for doors that are white aluminium, featuring energy rated double glazing with an internal beading and Ctrittal replacement window. Aluminium French doors capture a beautifully traditional, cultured aesthetic that has been brought into the 21st century with a highly modern design. Featuring an intelligently designed and practical flying mullion, our French doors offer heightened accessibility with increased ventilation. The table below illustrates a range of aluminium French doors prices based on a range of sizes. These prices are for white aluminium French doors that feature energy efficient, toughened double glazing with internal beading and an external cill. The mark of true double glazing innovation, aluminium bi-fold doors excel in offering homeowners an exceptional choice for their property. 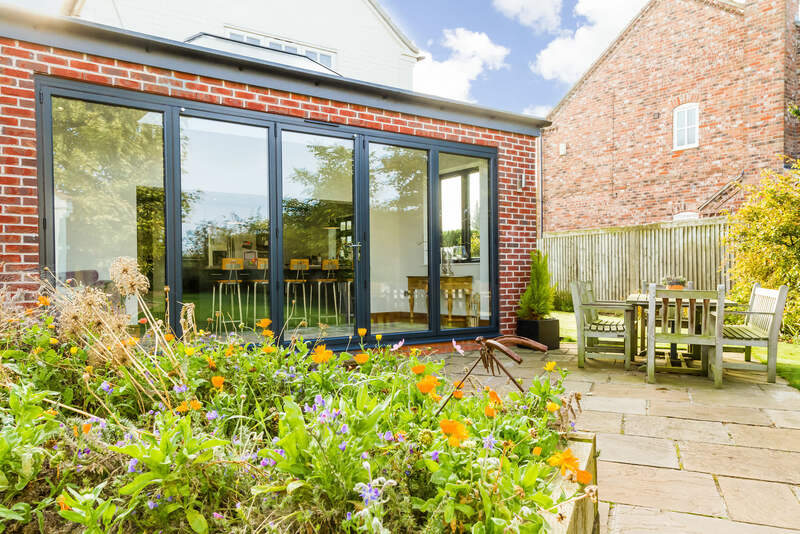 Consisting of a Visofold 1000 multi-leaf design, bi-fold doors fold neatly away to offer a seamless connection to your garden. The table below demonstrates our aluminium bi-fold door prices, inspired by a range of sizes. These prices are based on white aluminium bi-fold doors, that feature toughened, internally beaded energy efficient double glazing with an external cill. Our aluminium patio doors utilise the outstanding Visoglide profile to offer homeowners increased space with maintained performance. The high quality, multi-roller opening system eliminates the need for swing space and allows you to enjoy increased floor space. The table below indicates our aluminium patio door prices, based on a selection of different sizes. These prices are based on white aluminium with toughened, energy efficient double glazing. This includes internal beading with an external cill. Get in touch with us today to benefit from exceptional aluminium doors prices. We strive to offer highly competitive, accurate and free aluminium doors prices. We’ll be able to tailor your prices to your budget, property and tastes to ensure you get the best price for you. Alternatively, you can use our dealer search function to find your nearest Approved Installer. All members of the Sternfenster Approved Installer Network only offer outstanding aluminium doors prices, operating to the highest standards of professionalism throughout. We’ll be able to tailor your aluminium doors price to meet your exact specifications, meaning we’ll make the whole process as cost-effective as possible for you. We strive to make things as easy as possible for your home improvements, you won’t have to settle for anything less.